Simon Whitlock emerged victorious from the Portsmouth Individual League finals night, beating Richard North into second place. The Wizard beat Steve Harradine in the semi-finals while North overcame Liam Jafkins. Charlie Large won the plate contest with John Large finishing as runner-up. Bob Crawley and Keiron Smith both reached the last four. 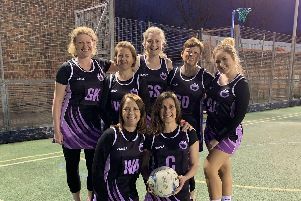 In the Gosport Ladies’ Winter League Aimee Bromyard checked-out on 61 to help Foresters Lounge beat Five Alls 6-3 and take the division three title. Sarah Lodge’s score of 133 was little consolation for Lee CC as they were demolished 8-1 by Green Dragon. Foresters Arms B dropped to fourth place in division one as they went down 6-3 to Three Tuns, despite Lou Smith hitting a 70 game-shot. Lisa Killick’s 130 score inspired RNA to beat WPM A 5-4 to move up to third. Queens Head B secured promotion from division two with a 5-4 victory over Solent SC B. Queens had a 134 score from Caroline Pullinger and Solent’s Tracy Stoddard hit 130. Sharon Jeffery scored 140 for Eagle but couldn’t prevent them losing 5-4 to New Inn. Champions Seahorse signed off for the season with a 7-2 victory over White Horse B, including a 134 from Wendy Dawkins. BRWCA B beat WPM B 7-2 with a 132 score from Valarie Paice Patterson. Windsor Castle took top spot in division four with a 6-3 triumph over Gosport Pool Arena. Pennie Lewis was in fine form for Foresters Lounge A, hitting a 140 score and 73 game-shot in their 5-4 win against Five Alls B. A top prize of £300 is up for grabs in the Phoenix Easter Open competition at Waterlooville’s Phoenix Club on Saturday, April 20. Entry costs £7 with the main event starting at 1pm while there is also a doubles contest for £3 per player at 11am. Doors open at 9am for breakfast.